Grown up in Germany, Max, early on, developed the love for photography. 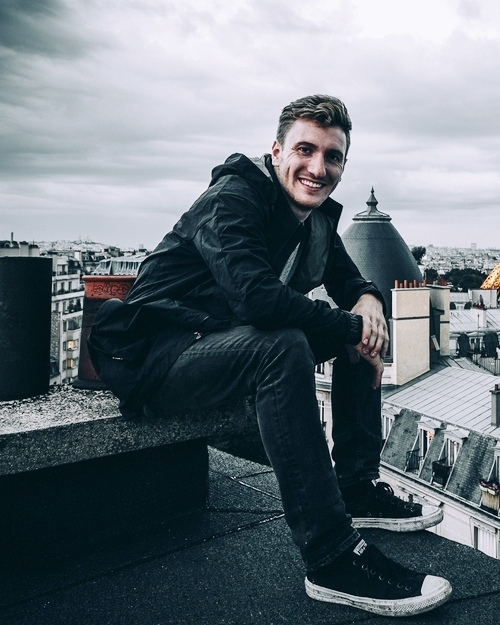 Throughout the past decade he has traveled the United States and resided Chicago, where he predominately focussed on trends in urban exploring and lifestyle. From the very beginning Max was able to utilize photography as a facilitator for creative ideas, reaching from studio to documentary photography. Partaking in a visual society, the camera allowed him to access places and events that are exclusive to limited access. The photographic process has defined his identity and every day life. While photography allowed him to interact with many creatives across several fields of visual and performing arts, he has developed many close friendships to rely on in life and collaborative environments. As of May 2016 Max is parting way with the United States and is focussed on projects and portfolio development throughout Europe and Asia. Max is on the continual search for extraordinary locations and their visual representation, he will continue to photograph the commonly inaccessible spaces and places. 2016 Max received his Bachelor of Fine Arts from the School of the Art Institute of Chicago. The SVARTPILEN 401 is a progressive, rugged motorcycle with timeless appeal, designed to endure the demands of urban exploration. Drawing inspiration from Husqvarna Motorcycles' pioneering heritage, this bike also looks ahead, innovates and guides the future of motorcycling in a whole new direction. Nikon photographer Max Leitner uses NIKKOR wide angle lenses to photograph Warsaw's stunning contemporary architecture - with a twist. Filmed on location, Max describes how he used four NIKKOR lenses to capture the unique lines of the city's architecture, while incorporating professional urban free-runner Benni Grams, to challenge perspective and make the viewer question what's happening within the frame.